The search engine known as Google is originated from the ‘Ifa’ also known as the oracle, said The Ooni of Ife, Oba Enitan Ogunwusi, on Wednesday. The Ooni of Ife, Oba[King] Enitan Ogunwusi and his wife. He said, Google could be considered as the modern way of sourcing for past information and what was likely to happen in the future too. ‘Ifa’ originated several thousands of years ago and is seen as the voice of the almighty God referred to as “Orisa Oke” which is supreme to other lesser gods, he said. 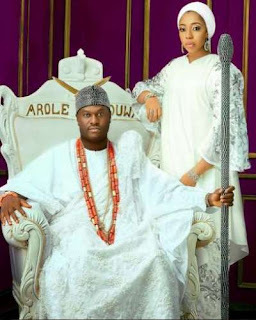 Ooni Of Ife In Action, Pours Alcohol On An Idol At Itapa Temple. 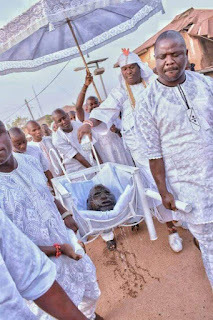 If ‘Ifa’, never come to an existence there could never have been the google, so the google is the modern day version of ‘Ifa’. Ifa’ is all about information, getting knowledge from the almighty God. NAN reports that Ogunwusi said this during the press tour of the tourists sites within the ancient city ahead of the Tourism Innovation and Development Innovation Conference (TIDA) slated for April 24. Ogunwusi said that ‘Ifa’ as a form divination was all about sourcing for information and knowledge through traditional consultation. Every moment you search the google for information or knowledge, you are consulting ‘Ifa’; and without ‘Ifa’, there would not have been the google. Ifá divination processing [consulting the oracles for information]. 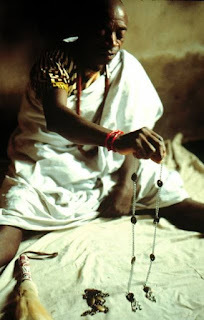 He added ‘Ifa’ was still relevant in contemporary time, saying that was why people were still consulting the oracle for information and solutions to their problems. 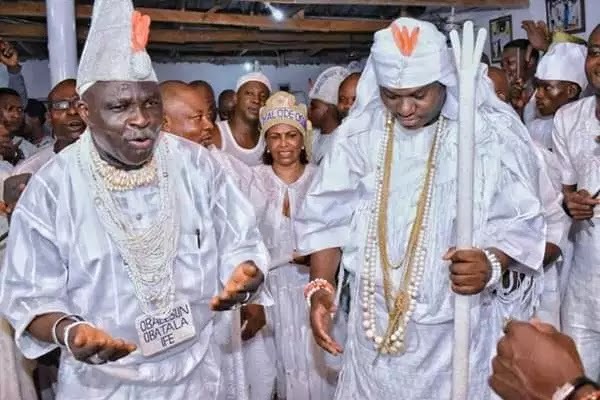 The Ooni who is the custodian of the Youruba culture and tradition called on Nigerians to embrace traditional worships peculiar to their communities which would not stop anyone from practising other modern religions.